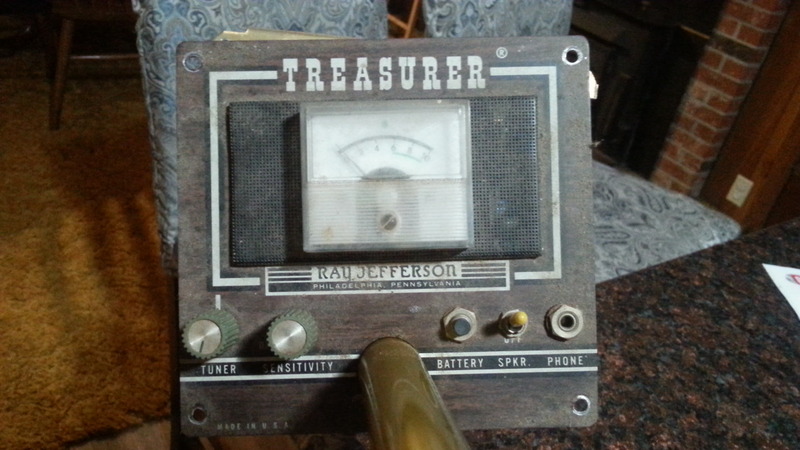 So I was given an old Ray Jefferson detector about a year ago. I dug it out this evening and toyed around with it a little. I opened it and it was cool to see an old open fin type variable capacitor on the "tuning" knob. The "sensitivity" knob looks to be a standard closed type pot. It does power up, and seems to detect, but in a weird way. Would this thing have been designed to null out on good targets? I swing a can of compressed air over the coil and it sounds off. I swing a 9v battery over the coil and it sounds off. But, I swing a clad dime and it nulls, or the threshold goes silent. Exactly opposite of what I expected?? I've put it up for the evening, but plan to fiddle with it some more tomorrow. I need to spray some cleaner in the sensitivity pot as it is making all sorts of racket. 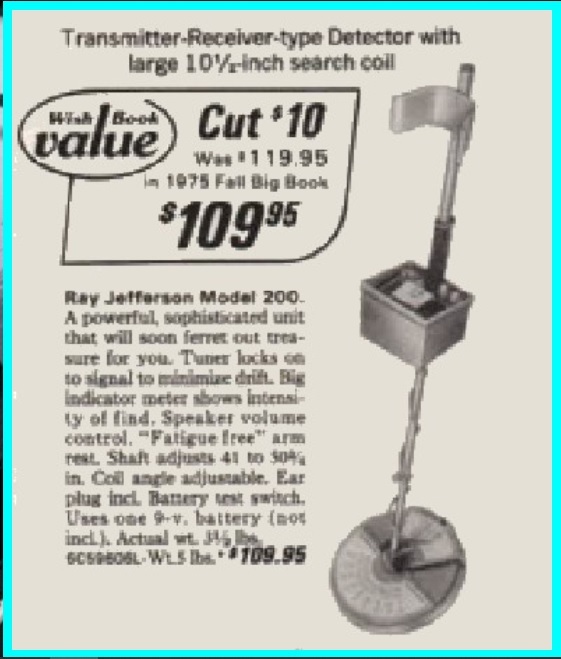 Any of you tenured detectorists got a recommended start up procedure for this thing? I'm assuming I would use the tuning knob for ground balance, then use the sensitivity knob for threshold as it gets louder as you turn it clockwise.